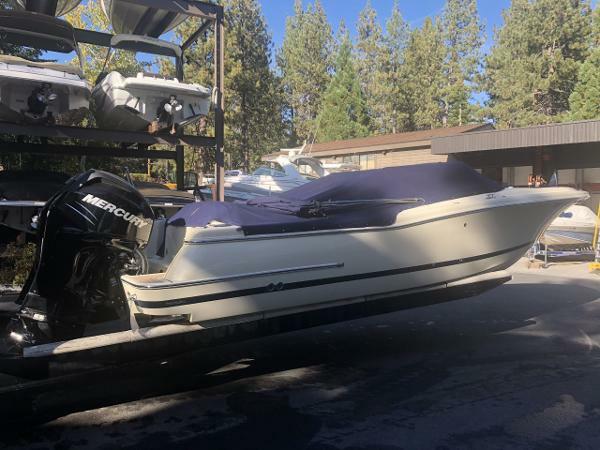 Fresh Lake Tahoe trade-in, a 2017 26' Calypso Dual Console/BowRider. 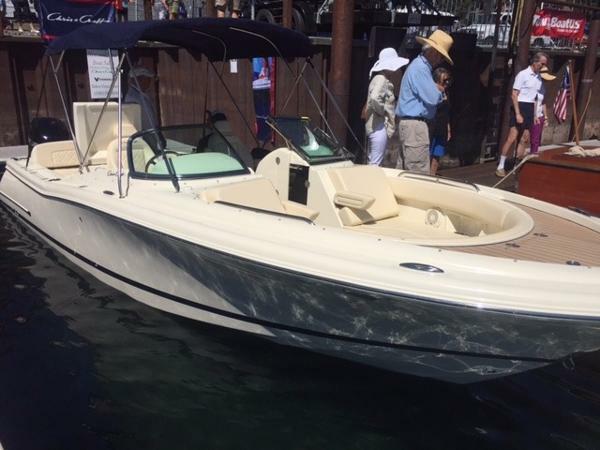 We have this like new 2017 in stock now with the following options: Twin Mercury Verado 200 outboards with DTS (28 hours since new! ), standard edition with Plasteak bow anchor locker, Ivory gelcoat with midnight blue stripe, ivory cream interior, bimini top (no Sport top), LED docking lights, cockpit and bow carpet, cockpit and bow covers, covers for outboards, forward table package with sunpad, Sirius satellite radio, ski pylon, teak cockpit table, windlass with all chain rode, Garmin 741XS GPS/DF. 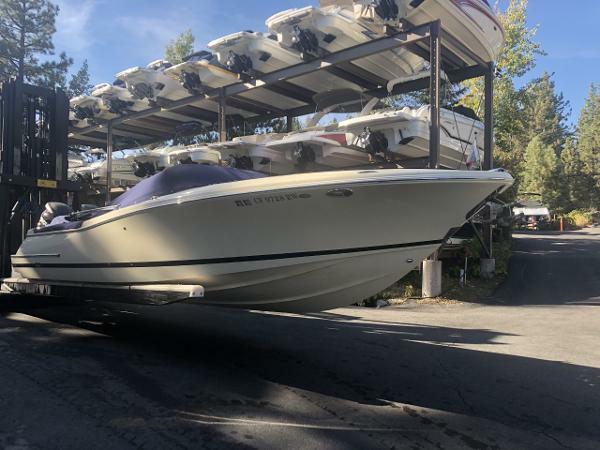 VHF Radio This is a rare opportunity to pick up a Chris-Craft Calypso 26 at a fraction of new boat pricing at only $124,900! Call today to reserve this special boat for your family! Trailer is not included in the price, but we can order a new trailer if necessary.